For the most accurate results, both groups of tests—1st-trimester tests and 2nd-trimester tests—are done, and results from both are analyzed together. However, if couples want information sooner, they can request a type of screening that provides results during the 1st trimester. Then screening is done in the 2nd trimester only if results of 1st-trimester screening did not require chorionic villus sampling or amniocentesis. Couples should remember that screening tests are not always accurate. They may miss abnormalities, or they may indicate abnormalities when none are present. High-level prenatal testing and genetic counseling are available in our Prenatal Testing and Fetal Diagnostic Centers. Our Prenatal Testing and Fetal Diagnostic Centers offer leading-edge technology for prenatal testing and fetal diagnosis by our team of specialists. Offering hope for women experiencing problems with pregnancy or childbirth, our specialists work in consultation with area obstetrician/gynecologists to help ensure healthy outcomes for families. Perinatologists (medical doctors who specialize in high-risk obstetrics), genetic counselors, nurses and sonographers provide a comprehensive range of advanced prenatal testing, fetal diagnosis and treatment and in utero surgery. Expert high-risk care is available at Abington Hospital – Jefferson Health if needed. Please call our Physician Referral Service at 215-481-MEDI or either center directly for more information. Provides information about fetal well-being, by assessing fetal breathing, movement, tone, heart rate and amount of amniotic fluid. Monitors fetal heart rate response to normal fetal activity such as kicking or movement. Measures the amount of amniotic fluid. If you aspire to motherhood, you should know that obstetricians advise women to prepare for pregnancy several months in advance. 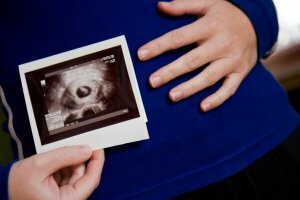 The reason: by the time you suspect that you are pregnant, the development of the fetal brain, spinal cord and several major organs are well underway. Plan ahead and you’ll help to ensure the healthiest future possible for your unborn baby. Here are some tips to get your pregnancy off to a good start. See your doctor for a “preconception history and visit.”This visit includes a physical, blood work and hereditary screening. Tell your physician about any prescription, over-the-counter and herbal remedies you take, as they may pose risk of the growth of your baby. Customize your weight and exercise. Discuss with your physician what type of exercise and diet regimen is right for you. Eating a well-balanced diet, including fruits, vegetables and protein, and limiting sweets and caffeine is suggested. Begin taking a vitamin supplement. Folic acid is a vitamin essential for preventing birth defects and premature births. It is recommended to take a prenatal vitamin daily before and during your pregnancy. Quit smoking and eliminate alcohol. Smoking and alcohol is associated with an increased risk of low birth weight, still birth, miscarriage, pre-term labor and fetal alcohol syndrome.